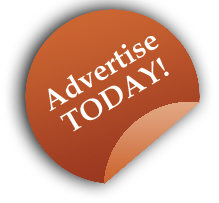 Advertise in The Evangelist and on www.evangelist.org! The Evangelist is mailed weekly via USPS to 37,000 households in a region covering 14 counties in Upstate New York. The Evangelist has the highest circulation of any weekly newspaper in the Capital District. Please contact John Salvione at (518) 453-6696 or john.salvione@rcda.org for display advertising and a media kit. For legal advertisements, please contact Kathy Hughes at (518) 453-6688 or kathy.hughes@rcda.org.